Scale: 1:480. 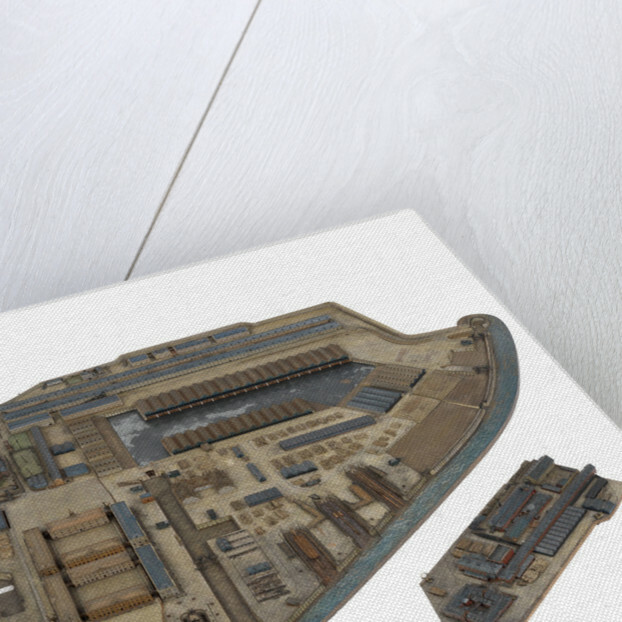 A model of HM Dockyard Plymouth as it appeared in 1774, made entirely in wood with metal and organic material fittings and painted in realistic colours. 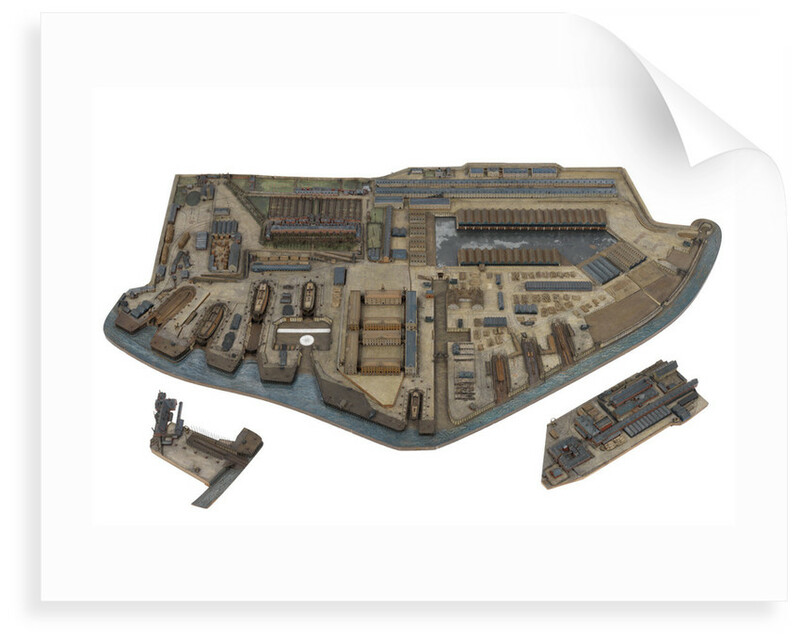 The model shows all the principle dockyard buildings and structures and a number of dry docks and slipways. The water around the bottom half of the model is realistically painted and the mast pond is depicted using a sheet of glass. A number of vessels are depicted in various stages of construction. The model includes models of 'Glory' (1763), 'Queen' (1769), 'Hero' (1795) and 'Royal George' (1756). Two sections of the model can be removed using small brass handles and the replacement sections also have brass handles. 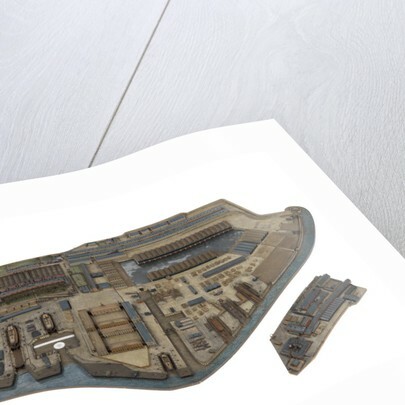 Other dockyard features shown include sorted and stacked timber, anchor wharf, cranes, gardens and allotments, bales of hay, and trees and shrubs. The model is annotated with numbers. An ivory compass rose and scale rule are positioned at the bottom of the model. 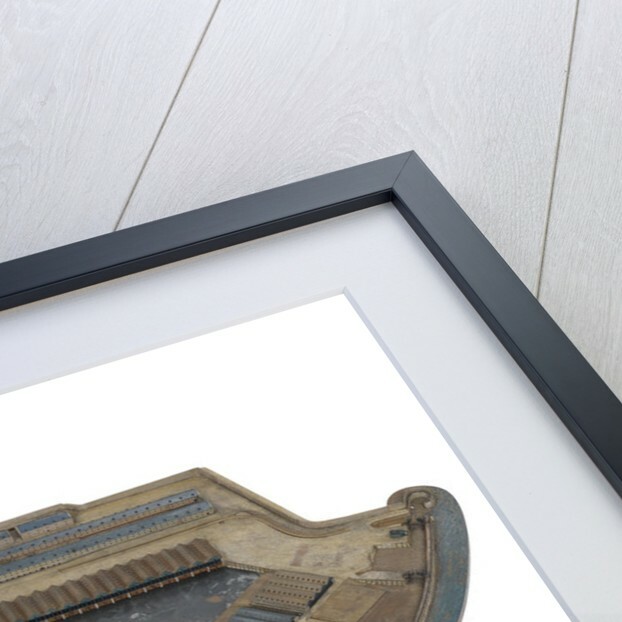 The model is displayed in a bespoke top glazed display case. More by the artist Plymouth Dockyard Personnel.